﻿ Wicker Daybeds, Wicker Sun Loungers and Sunbeds: What are they ? Did you see yourself in the above situation? Whenever you decide to refurbish your space with sunbeds, you may find yourself struggling in identifying these three confusing terms: wicker daybeds, sun loungers, and sunbeds. That’s why, ATC Wicker Factory would like to help with some differences between the three, regarding the definition, materials used, and usage. Definition: “Sunbeds”, in fact, is a general name of any seating used for sunbathing, including sun loungers. But in this case, we refer to the type of furniture that can be seen as an upgrade of the original one person sun lounger. The shape is normally circular with space for more than one user. An attached canopy, together with plenty of soft pillows, create an intimacy lounging spot for your backyard. The difference is that wicker sunbeds mostly have nonadjustable back, unlike sun loungers. Materials used: To withstand outdoor weather, the materials have to be well qualified. ATC Wicker Factory ensures the durability of each wicker sunbeds by only choosing the high quality artificial rattan, strong aluminum frame, and water resistant fabrics. Cushions are upholstered with soft foam forming a comfortable seat as well as staying in shape after using time. Usage: A wicker sunbeds is what you really need for building your own intimate outdoor lounging space. When sun lounger is not enough, this outdoor patio furniture serves as a king or queen size bed right on your patio. The design is varied with elegant and stylish appearance. During summer days and nights, lie yourself down, enjoy the warm sun, stargaze with your beloved one on this comfy wicker sunbeds. Isn’t it wonderful? Definition: “Sun lounger”, sometimes called chaise longue, is a chair lengthened for relaxing your legs. Mostly, it comes with an adjustable rear that can be reclined to comfortably sit and sleep on. That makes the differences between sun loungers and wicker sunbeds. The design is space saving, with enough room for individuals to rest their whole body. The seating is normally flat while some can be a little curvy producing a more aesthetic look yet comfortable seat. 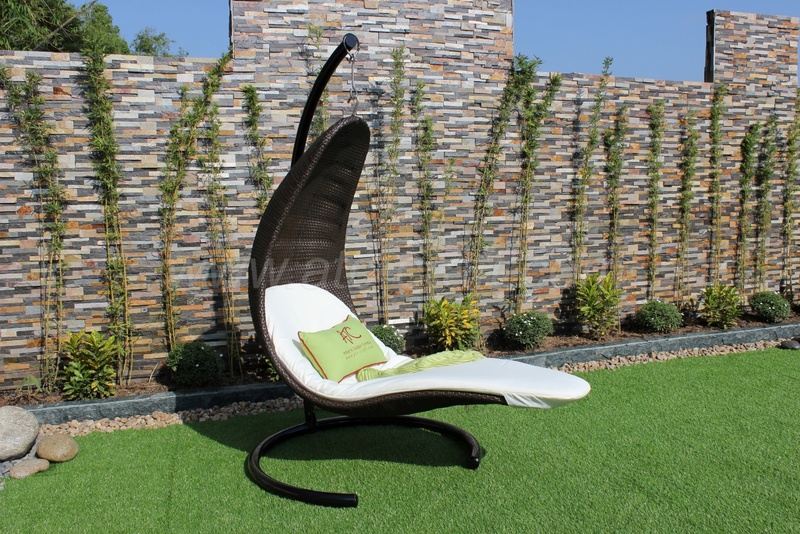 ATC Wicker Factory also introduces a creative design called hanging sun lounger that you cannot easily find in other suppliers. 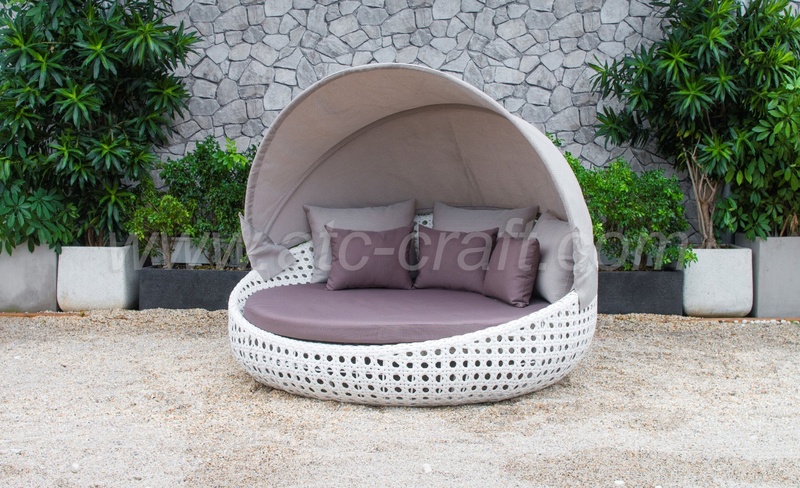 Materials used: Sun loungers can be made from different materials such as wood, rattan or synthetic wicker. Some are even totally produced from metal like powder coated aluminum outdoor furniture and so on. As owners usually put this outside, the materials have to be durable and weather resistant. Most manufacturers, like ATC Wicker Factory, choose high quality poly rattan and rust free aluminum frame for extra durability. 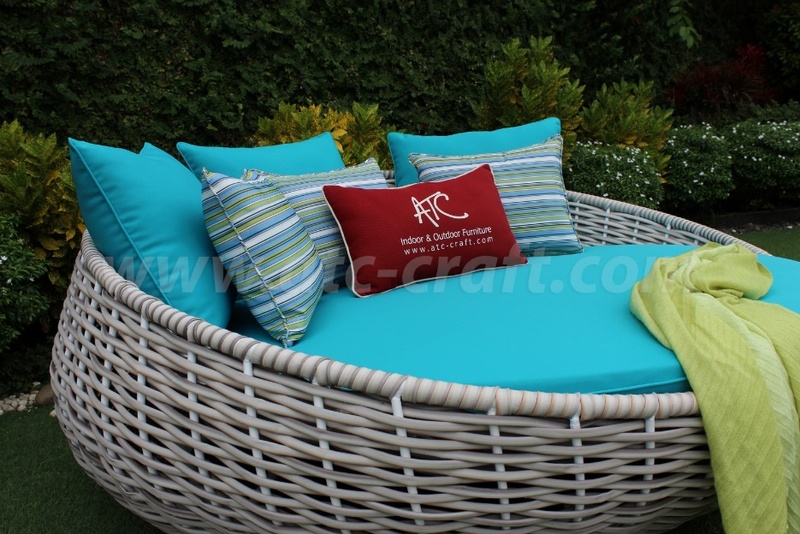 The rattan is durable and smooth providing a stable and neat wicker sun lounger. Fabrics are also UV and water resistant that fully protect the lounge chair from sunlight and raindrop. Usage: The first piece of outdoor furniture that comes in people mind when looking for a poolside seat is definitely sun lounger. Laze around from day and night on a comfy chaise longue. 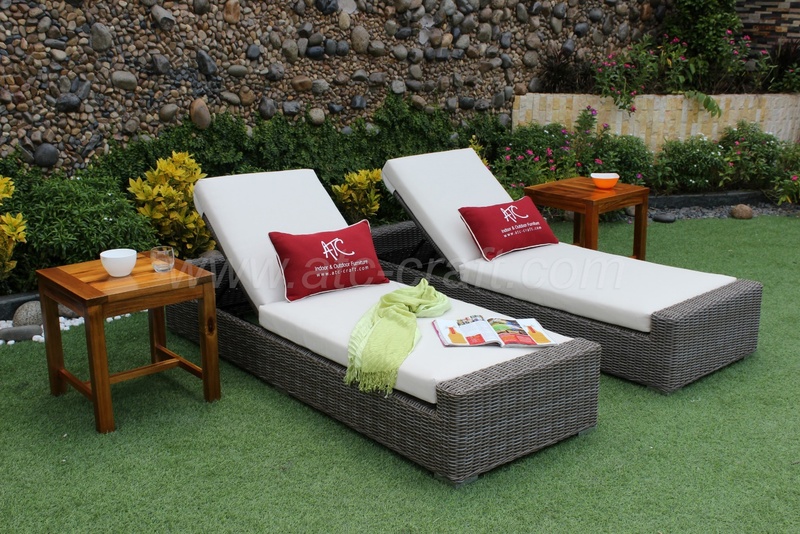 You can finish your favorite writing, enjoy iced tea during the sunny day, host a pool party or even sleep through the tiring noon on this amazing seating. For long lasting outdoor patio furniture, ATC Wicker Factory is a noteworthy manufacturer providing high grade sun loungers for home decorating and maximizing outdoor relaxation. Definition: The mixture of a chaise longue, a sofa, and a bed becomes an ultimate seating called daybed. Designed for multifunctional enthusiasts, the wicker daybed is a unique type of furniture with separated pieces for different usage. Originally, it’s a sofa with thick and comfy seat cushions, along with several parts that can be separated for creating seats and table. Additionally, you can use daybed as a lounge chair by adding a soft pillow at the side. Moreover, it can be turned into a bed by connecting extra parts together, or putting an additional trundle bed in. Some design may include canopy providing shade for users to soundly sleep under the sun. Materials used: For the indoor area, wood and metal are mostly used to produce daybed. The material choices are significantly influenced by users’ needs. Wood daybed usually looks like a couch for conversation, whereas metal one is mostly for sleeping. What about outdoor? As always, poly rattan, synthetic wicker or even aluminum are the chosen ones. Powder coated aluminum outdoor furniture, particularly daybed, is rarer than rattan wicker daybed. It’s because the durability of synthetic wicker is no doubt to be the best for outdoor. Usage: Wicker Daybeds have recently become people’s favorite furniture. How can you resist a multifunctional piece in your house? It can provide more seating for guests as well as an extra bed for an overnight party. Or you can use daybed as a solution for limited space areas. Be modern, be flexible, and be effective. Those above are some differences between sun loungers, wicker daybeds, and sunbeds that you may not know. 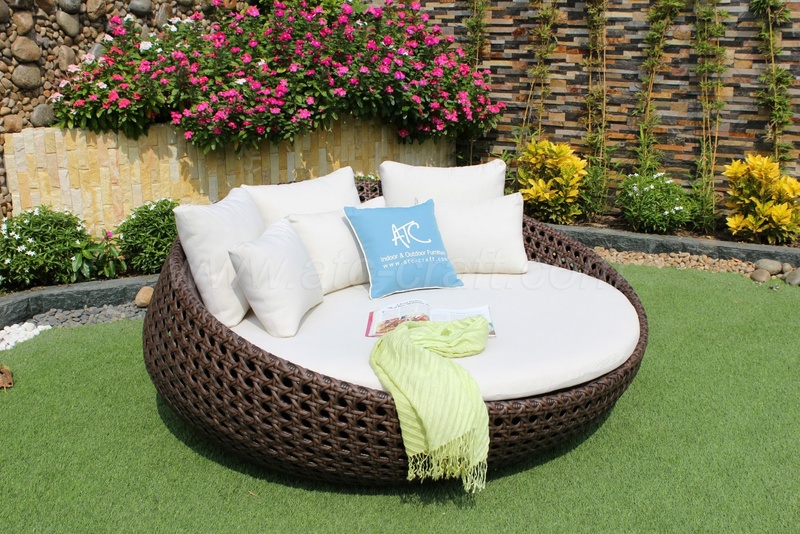 After all, ATC Vietnam Wicker Factory – a Vietnam wicker daybeds manufacturer – hopes that you can pick for yourself a suitable type of furniture. If you’re interested in any of these, feel free to visit our webpage [ Patio Outdoor Wicker Sun Beds Sun Loungers] for more.